Our 4 & 6 berth camping pods at Corriefodly are the ideal base for making the most of the scenic Perthshire countryside and superb outdoor activities on your doorstep. They provide the perfect hideaway for a relaxing break with all the facilities you need for a memorable holiday experience! 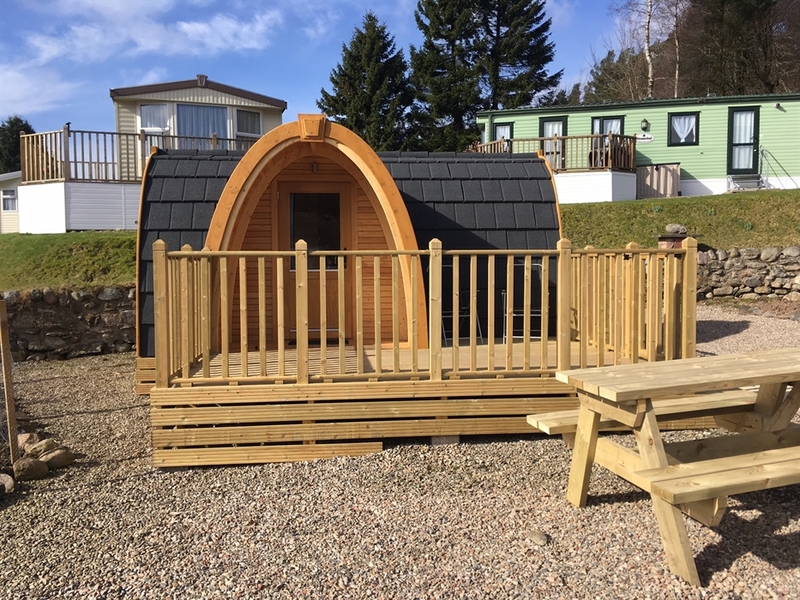 Sleeping up to 4 people (max 3 adults in our small pod) or 6 people (max 4 adults in our large pod) our camping pods are ideal for couples and families looking to enjoy a camping break, at any time of year in the heart of Perthshire. 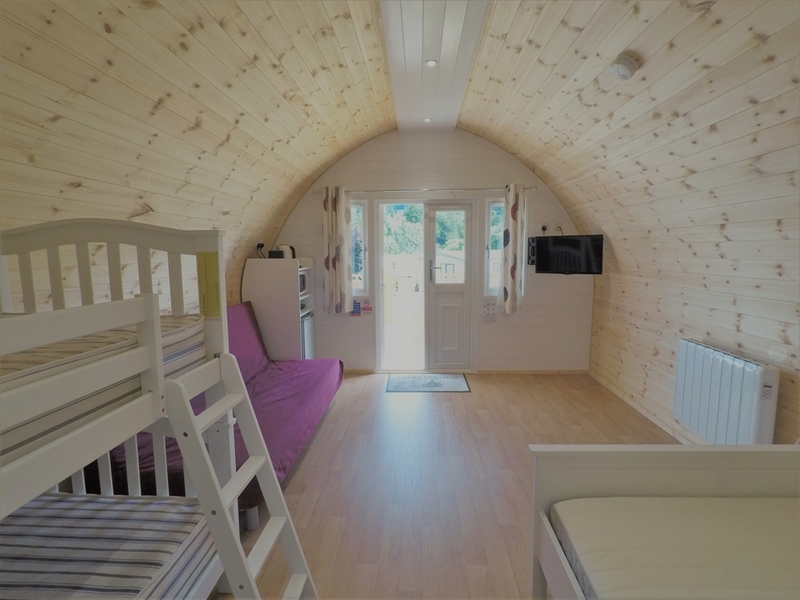 Our small camping pod comes with a double bed and sofa bed, whilst our large camping pod also contains bunk beds, and provide a camping experience on a budget all year round. They include heating, mattresses, mini fridge, microwave, kettle, toaster, flat screen TV and outdoor decking - the perfect place to unwind after an action packed day. -Parking alongside for one motorised vehicle.